This article is about the year 1688. For the company, see Alibaba Group. English Regnal year 3 Ja. 2 – 1 Will. & Mar. Wikimedia Commons has media related to 1688 . 1688 ( MDCLXXXVIII ) was a leap year starting on Thursday of the Gregorian calendar and a leap year starting on Sunday of the Julian calendar , the 1688th year of the Common Era (CE) and Anno Domini (AD) designations, the 688th year of the 2nd millennium , the 88th year of the 17th century , and the 9th year of the 1680s decade. As of the start of 1688, the Gregorian calendar was 10 days ahead of the Julian calendar, which remained in localized use until 1923. November 15: The Glorious Revolution begins. March – William Dampier makes the first recorded visit to Christmas Island. March 1 – A great fire devastates Bungay, England. April 3 – Francesco Morosini becomes Doge of Venice. April 10 – Morean War: The Venetian forces under Francesco Morosini evacuate Athens and Piraeus. April 18 (Julian calendar) – The Germantown Quaker Protest Against Slavery is drafted by four Germantown Quakers. April 29 – Friedrich Wilhelm, the Great Elector of Brandenburg-Prussia, dies. Friedrich III becomes Elector of Brandenburg-Prussia until 1701, when he becomes the first King of Prussia, as Friedrich I. May 4 – King James II of England orders his Declaration of Indulgence, suspending penal laws against Catholics, to be read from every Anglican pulpit in England. The Church of England and its staunchest supporters, the peers and gentry, are outraged; on June 8 the Archbishop of Canterbury, William Sancroft, is imprisoned in the Tower of London for refusing to proclaim it. May 10 – King Narai of Ayutthaya nominates Princess Sudawadi as his successor, with Constantine Phaulkon, Mom Pi and Phetracha acting as joint regents. May 17 – The arrest of King Narai of Ayutthaya launches a coup d'état. June 5 – Constantine Phaulkon is arrested; he is later beheaded. June 10 – The birth of James Francis Edward Stuart (later known as the Old Pretender), son and heir to James II of England and his Catholic wife Mary of Modena, at St James's Palace in London, increases public disquiet about a Catholic dynasty, particularly when the baby is baptised into the Catholic faith. Rumours about his true maternity swiftly begin to circulate. June 24 – French forces under Chevalier de Beauregard abandon their garrison at Mergui, following repeated Siamese attacks; this ultimately leads to their withdrawal from the country. June 30 – A high-powered conspiracy of notables (the Immortal Seven ) invite Dutch stadtholder William III of Orange and Princess Mary to "defend the liberties of England", and depose King James VII and II. William Dampier was an English explorer, ex-pirate and navigator who became the first Englishman to explore parts of what is today Australia, and the first person to circumnavigate the world three times. He has also been described as Australia's first natural historian, as well as one of the most important British explorers of the period between Sir Walter Raleigh and James Cook. July 13 – The Siege of Negroponte by the Venetians begins. August 1 – Phetracha becomes king of Ayutthaya, after a coup d'état. September 6 – Great Turkish War: The Habsburg army captures Belgrade. October 21 – The Venetians raise the Siege of Negroponte. October 27 – King James II of England dismisses his minister Robert Spencer, 2nd Earl of Sunderland. November 11 (November 1 OS) – Glorious Revolution: William III of Orange sets sail a second time from Hellevoetsluis, the Netherlands, to take over England, Scotland and Ireland from King James II of England. November 15 (November 5 OS) – The Glorious Revolution begins: William of Orange lands at Torbay, England with a multinational force of 15,000 mercenaries. He makes no claim to the British Crown, saying only that he has come to save Protestantism and to maintain English liberty, and begins a march on London. November 19 (November 9 OS) – William of Orange captures Exeter, after the magistrates flee the city. November 20 (November 10 OS) – The Wincanton Skirmish between forces loyal to James II led by Patrick Sarsfield and a party of Dutch troops is one of the few armed clashes in England during the Glorious Revolution. November 23 – A group of 1,500 Old Believers immolate themselves to avoid capture, when troops of the tsar lay siege to their monastery on Lake Onega. November 26 – Hearing that William of Orange has landed in England, Louis XIV declares war on the Netherlands. Perhaps revealingly, he does not attack the Netherlands, but instead strikes at the heart of the Holy Roman Empire, with about 100,000 soldiers. The Nine Years' War begins in Europe and America. December 9 – The Battle of Reading takes place in Reading, Berkshire. It is the only substantial military action in England during the Glorious Revolution and ends in a decisive victory for forces loyal to William of Orange. December 11 – Having led his army to Salisbury and been deserted by his troops, James VII and II attempts to flee to France. December 18 – William of Orange enters London. The Siege of Negroponte was undertaken by the forces of the Republic of Venice from July to October 1688. The Venetian army, composed of several mercenary and allied contingents from western Europe, had succeeded in capturing the Peloponnese in the previous years, and proceeded to capture Athens and attack Negroponte, the main Ottoman stronghold in Central Greece. The Venetian siege was hampered by the Ottoman resistance and their inability to completely isolate the town, as the Ottoman general Ismail Pasha managed to ferry supplies to the besieged garrison. 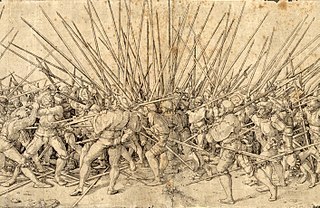 Furthermore, the Venetian army suffered many casualties from an outbreak of the plague in the Venetian camp, which led to the death of 4,000 troops and the experienced general Otto Wilhelm Königsmarck. The departure of the Florentine and Maltese contingents further weakened the Venetians, and when the German mercenaries refused to remain there in winter quarters, the Venetian commander, Doge Francesco Morosini, had to concede defeat and retreat to the Peloponnese. The Austrians incite the Chiprovtsi Uprising, against the Ottomans in Bulgaria. Edward Lloyd opens the London coffee house that soon becomes a popular meeting place for shipowners, merchants, insurance brokers and underwriters. In time the business association they form will outgrow the coffee house premises, and become Lloyd's of London. Johann Weikhard von Valvasor becomes a member of the Royal Society. The earliest known mention of the balalaika is made. 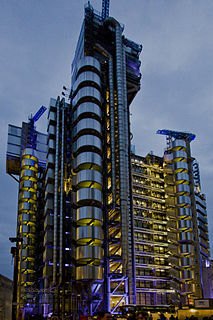 Lloyd's of London, generally known simply as Lloyd's, is an insurance and reinsurance market located in London, United Kingdom. Unlike most of its competitors in the industry, it is not an insurance company; rather, Lloyd's is a corporate body governed by the Lloyd's Act 1871 and subsequent Acts of Parliament and operates as a partially-mutualised marketplace within which multiple financial backers, grouped in syndicates, come together to pool and spread risk. These underwriters, or "members", are a collection of both corporations and private individuals, the latter being traditionally known as "Names". January 15 is the 15th day of the year in the Gregorian calendar. There are 350 days remaining until the end of the year. Maria van Lommen, was a Dutch gold- and silversmith and guildmember. James Howard, 3rd Earl of Suffolk,, was grandson of Thomas Howard, 1st Earl of Suffolk, and was also 3rd Baron Howard de Walden. He was succeeded in the earldom, a revival of an earlier title held by distant ancestors and re-created for his grandfather Thomas Howard, by two of his brothers. He acted as Earl Marshal for the coronation of Charles II. The 1680s decade ran from January 1, 1680, to December 31, 1689. 1670 (MDCLXX) was a common year starting on Wednesday of the Gregorian calendar and a common year starting on Saturday of the Julian calendar, the 1670th year of the Common Era (CE) and Anno Domini (AD) designations, the 670th year of the 2nd millennium, the 70th year of the 17th century, and the 1st year of the 1670s decade. As of the start of 1670, the Gregorian calendar was 10 days ahead of the Julian calendar, which remained in localized use until 1923. 1619 (MDCXIX) was a common year starting on Tuesday of the Gregorian calendar and a common year starting on Friday of the Julian calendar, the 1619th year of the Common Era (CE) and Anno Domini (AD) designations, the 619th year of the 2nd millennium, the 19th year of the 17th century, and the 10th and last year of the 1610s decade. As of the start of 1619, the Gregorian calendar was 10 days ahead of the Julian calendar, which remained in localized use until 1923. King Narai the Great or Ramathibodi III was the 27th monarch of Ayutthaya Kingdom, the 4th and the last monarch of the Prasat Thong dynasty. He was the king of Ayutthaya Kingdom from 1656 to 1688 and arguably the most famous king of the Prasat Thong dynasty. Constantine Phaulkon, also known as Κωσταντής Γεράκης or Costantin Gerachi, Constantino Falcão in Portuguese and simply as Monsieur Constance in French, was a Greek adventurer, who became prime counsellor to King Narai of Ayutthaya, assuming the Thai noble title Chao PhrayaWichayen (เจ้าพระยาวิชาเยนทร์). Phetracha was a king of the Ayutthaya kingdom in Thailand, usurping the throne from his predecessor King Narai and founding the Ban Phlu Luang dynasty, the final one of the Ayutthaya kingdom. Originally a member of king Narai's extended family, he was a trusted councilor of Narai, and leader of the Royal Elephant Corps. However, in 1688 he led the Siamese revolution of 1688, had Narai's heirs executed, and by marrying Narai's only daughter took the throne of Ayutthaya kingdom upon Narai's death. He reversed the pro-Western policies of Narai, ejecting foreigners from the kingdom, and launched the Siege of Bangkok, to exile all French troops from Siam. As a result, Siam stayed isolated from Western contact until the 19th century. Sanphet VIII or Suriyenthrathibodi was the King of Ayutthaya from 1703 to 1709 and the second ruler of the Ban Phlu Luang Dynasty. Suriyenthrathibodi was also known by the noble title he held before ascending the throne, Luang Sorasak. He was the eldest son of the founder of the Ban Phlu Luang dynasty, Phetracha. The Siamese revolution of 1688 was a major popular upheaval in the Siamese Ayutthaya Kingdom which led to the overthrow of the pro-French Siamese king Narai. The Mandarin Phetracha, previously one of Narai's trusted military advisors, took advantage of the elderly Narai's illness, and killed Narai's Christian heir, along with a number of missionaries and Narai's influential foreign minister the Greek adventurer Constantine Phaulkon. Phetracha then married Narai's daughter, took the throne, and pursued a policy of ousting French influence and military forces from Siam. One of the most prominent battles was 1688's Siege of Bangkok, when tens of thousands of Siamese forces spent four months besieging a French fortress within the city. As a consequence of the revolution, Siam severed significant ties with the West, with the exception of the Dutch East India Company, until the 19th century. The Anglo-Siamese War was a brief state of war that existed between the East India Company and Kingdom of Siam in 1687–88. Siam officially declared war against the Company in August 1687. No peace treaty was ever signed to end the war, but the Siamese revolution of 1688 rendered the issue moot.